Are Juuls Bad For You? - Here Is Your Answer. Are Juuls Bad For You? Juul is a type of e-cig (electronic cigarette) that has become a “viral sensation” across high school and college campuses. Juul is now being found in elementary and middle schools at an alarming rate-raising the question on what type of serious adverse health effects occur when inhaling nicotine salts and other additives at a young age. “Juuling” offers no nutritional or health benefits and the only redeeming quality is that it has fewer chemicals and carcinogens than cigarettes. The nicotine addiction remains a continued issue. Juul is a particular brand of e-cig released in 2017 that has become a popular alternative for people that would like to quit cigarette smoking. However, with the younger generations, Juul has almost a cult-like following. Juul is meeting with substantial controversy due to its marketing approach which is extremely captivating to kids, adolescents and young adults. 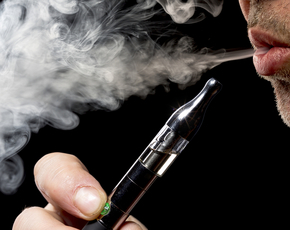 People using e-cigs often refer to it as “vaping”. 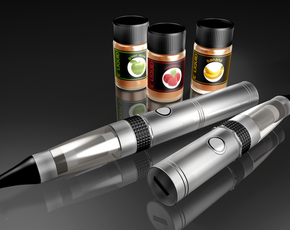 E-cigs are battery charged handheld devices that simulate smoking without many of the chemicals associated with tobacco-based cigarette smoking. With the traditional e-cig, a liquid that is comprised of nicotine (either a synthesized version or an extract from tobacco), glycerin, propylene glycol and numerous choices of flavorings is heated into an aerosol or vapor that is inhaled directly into the lungs. This nicotine delivery system simulates a regular cigarette, but without the tobacco, burning, ash, unpleasant smell or carcinogen-laden smoke. It may be a better alternative to cigarettes but what are the short-term and long-term effects of these e-cigs? The Juul vaporizer uses nicotine salts that come from leaf based tobacco. This also differs from cigarette smoking which is a free-base nicotine carrying over 4000 additional chemicals with 43 known carcinogens. Juul pods, which are the nicotine cartridges of this e-cig contain a mix of glycerol, propylene glycol, nicotine, benzoic acid, and flavorings. It is still unclear what the true risk of these ingredients are but what is clear is that the nicotine amounts in the Juul pods is quite high - with 59 mg per milliliter of fluid. 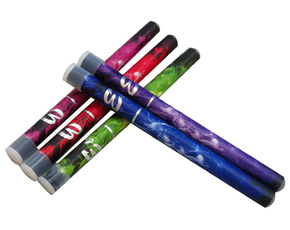 Each small pod delivers about 200 puffs which approximates 1 pack of cigarettes. Nicotine is quite addictive and for individuals (especially kids) that start off vaping Juul, the long-term effects of nicotine addiction could lead to significant health problems. When nicotine enters the bloodstream, it has a rapid onset of action and immediately stimulates the adrenal glands to produce the hormone epinephrine (adrenaline). Epinephrine causes an increase in heart rate, muscle strength, blood pressure, and respirations. This reaction, known as the “Flight or Fight Response” prepares the body for immediate strenuous activity. Nicotine crosses the blood-brain barrier and stimulates the production of dopamine. This can have a brain calming effect and lead to feelings of pleasure and reward. Dopamine, which is sometimes called the pleasure molecule, is the same neurotransmitter that is involved in addictions associated with cocaine and heroin. Nicotine can be very toxic to brain development in kids and adolescents. Nicotine can potentially be a significant gateway drug because the brain is now primed for drugs like cocaine and heroin. This is why it can be very difficult to eliminate any of these drugs once your brain has become addicted. When inhaled, nicotine can cause direct irritation of the throat, increased salivation and a burning sensation in the mouth - although this is reduced with the use of nicotine salts and benzoic acid. The benzoic acid in Juul helps the nicotine vaporize at a lower temperature so that the throat irritation is less. It also makes the nicotine more absorbable and bioavailable in the body. Long-term effects of inhaled benzoic acid are unclear, however, immediate inhalation can cause irritation to the skin, eyes, and mucous membranes of the nose. Some individuals may experience an allergic reaction including rash, wheezing and shortness of breath. Nicotine in any form can cause significant headaches, confusion and GI upset associated with nausea, vomiting, abdominal discomfort and diarrhea. These short-term effects can be significant in younger individuals. Younger individuals that are vaping nicotine are also more susceptible to anxiety and panic attacks. In a situation involving severe nicotine toxicity, the peripheral and central nervous systems can decline rapidly causing tremors, extreme weakness, exhaustion, seizures with progression to collapse and coma. Death can occur from paralysis of respiratory muscles and/or central respiratory failure. This is unlikely because of the high dose of nicotine that would need to be consumed but serious toxicity can happen if someone drank large amounts of e-cig liquid or spilled a large amount on the skin - and again, the risk being higher in younger individuals. Another health concern is the cardiovascular strain on kids and adolescents that are inhaling Juul nicotine salts and also consuming energy drinks that contain stimulants. Obviously, this can add to the elevation in blood pressure, heart rate and respirations. The combination of nicotine salts, caffeine, taurine, ginseng, added sugars and or guarana could pose a significant cardiopulmonary risk - especially if a young individual has a known or unknown underlying cardiovascular condition. And according to the Public Health Law Center, “Youth who use e-cigs are more likely to use cigarettes and other conventional tobacco products”. This just leads to more toxins being introduced into the internal body and more strain on the cardiopulmonary system. Some medical professionals are referring to the Juul phenomenon as the health scare of this decade - making reference to Juul having marketing strategies that appeal to younger and younger individuals and nicotine being a true addictive drug. Some 4th and 5th-grade students are now jumping on the Juul bandwagon and teachers are on the lookout for these devices. Some of the kids using Juul do not even recognize that there is nicotine in the product - they are under the impression it is just flavored oil. To purchase a Juul on the Juul.com website you have to be 21 or older and have documentation of your age. If you are buying from a retail establishment you need to be of established legal age in that state to purchase tobacco products. Younger individuals are going through a third party to purchase Juuls illegally and many say that obtaining Juul devices online is easy. 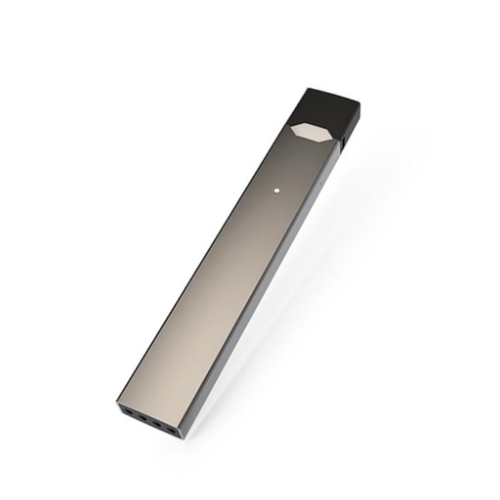 Additional marketing strategies that appeal to our youth involve Juul having a very sleek look similar to that of a computer jump drive. Because of its unassuming look and small size it is easy to sneak into school, airplanes, clubs and restaurants. The battery is charged on a USB port and will fully charge within an hour. There is an automatic temperature regulator that prevents user error during heating- thus eliminating the risk of the Juul blowing up in your hand or face. 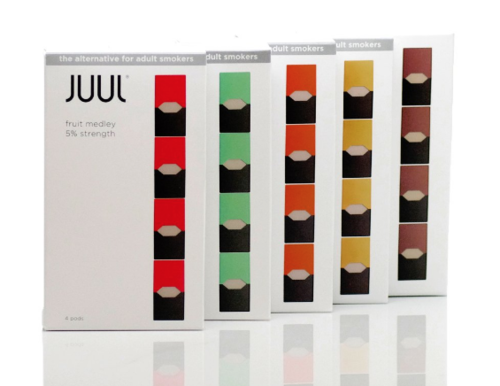 Another appeal of Juul is their unique flavors including mango, cool cucumber, cool mint, fruit medley and crème brulee. An area that is unchartered territory involves the long-term risk of inhaling propylene glycol and what are the true pulmonary effects in kids and young adults. Propylene glycol is a compound used in theater fog and anti-freeze and is considered a significant pulmonary irritant. The concern is that when heated, will propylene glycol be more toxic to the body and specifically the pulmonary system when directly inhaled? According to a study done at the NIH - inhalation of propylene glycol along with glycerol can cause pulmonary irritation after just one inhalation. (1) The government still considers these compounds safe and have not put any restrictions on them in e-cigs. Yet another area of concern when it comes to vaping is the risk of developing “popcorn lung”. This rare medical condition results from damage of the small airways in the lungs and can occur by inhaling certain toxic compounds. Over time inflammation will scar the lungs and significant breathing issues will occur. Popcorn lung was first recognized in popcorn factory workers who were inhaling diacetyl, a chemical that was used for its buttery flavor. Early on in the e-cig revolution, diacetyl was used in flavorings. Juul has made formal statements that they do not have diacetyl in their pods. Although Juul has no diacetyl, the jury is still out regarding the potential side effects of chronic inhalation with the combination of nicotine, propylene glycol, glycerol, benzoic acid and various flavorings. It does appear that compared to regular cigarettes Juul is a better option for adults that would like to quit smoking cigarettes and eliminate more carcinogens. However, the nicotine continues to be the addiction factor with e-cigs and regular tobacco products. When it comes to kids and adolescents that experience brain development up the age of 20 - there is no reason at all to be using Juul. It would be reasonable to say that if you are going to inhale something into your lungs - stick with fresh air.